Hezbollah planned to use a cross-border tunnel uncovered by the IDF this week to cut off the northern town of Metula during a future war, the Hebrew news site Mako reported on Wednesday, citing Israeli military officials. The IDF announced the launch of “Operation Northern Shield” on Tuesday, saying its goal was to “expose and neutralize cross-border attack tunnels dug by Hezbollah” under the Israel-Lebanon border. The Trump administration has voiced its support for Israel’s actions. According to the Mako report, IDF officials believe they have a firm handle on the scope of the Hezbollah tunnel project. 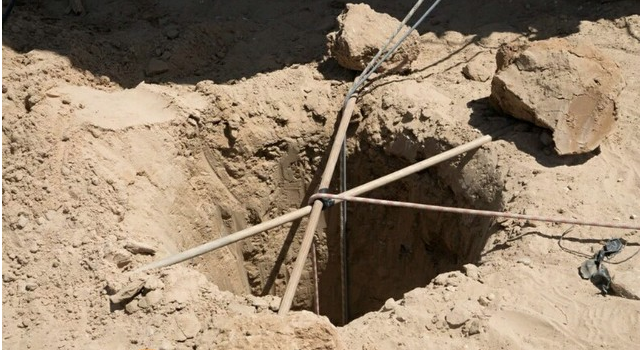 The Israeli military’s anti-tunnel activities are currently occurring at three sites on the border, but “there will soon be more,” an IDF official was quoted as saying. Iran-backed Hezbollah, the IDF assessed, intended to secretly infiltrate fighters into Israel’s Galilee Panhandle region to pave the way for an invasion of a larger force. The goal of Hezbollah was to isolate Metula by severing Route 90, the highway that links Israel’s northernmost town with the rest of the country. For now, the report said, the IDF was only dealing with the sections of tunnels inside Israeli territory, to avoid sparking a wider conflagration with Hezbollah.